1. 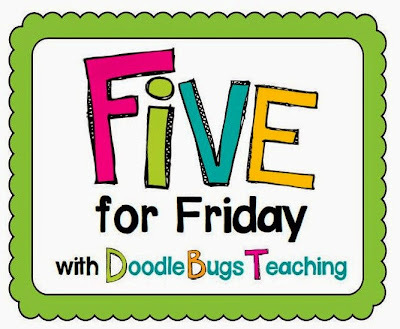 This week I introduced my first educational resource! 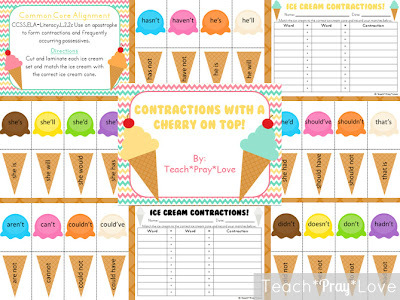 Contractions with a Cherry on Top is a Common Core aligned center that allows your students to "get the scoop" on contractions. This center includes over 75 different contractions and is designed to allow each student to master contractions at various levels of learning. If you are looking for a great way to introduce or review contractions with your students click on the picture below to check it out! 2. 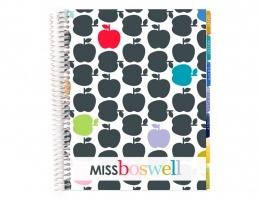 I ordered my first Erin Condren Lesson Planner last night! I was torn between 3 different designs and I believe I chose the perfect one! What do you think? 3. 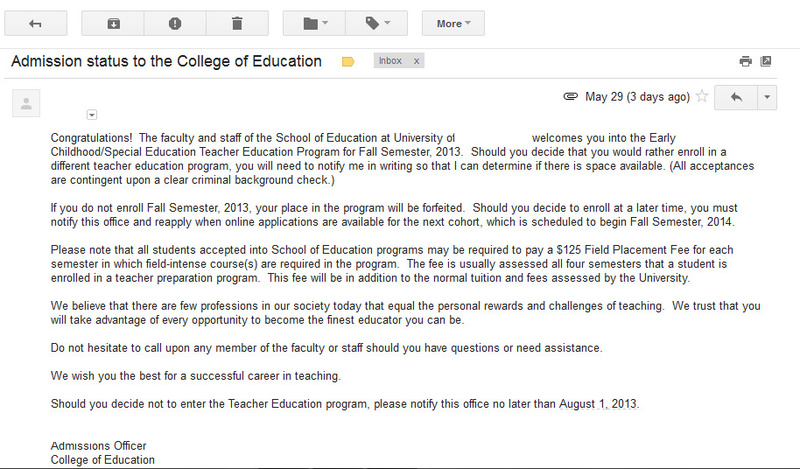 This week I received my official acceptance letter to the College of Education! 4. Who loves Old Navy? I know I do! This week I found the perfect bathing suit at oldnavy.com and placed my order. I cannot wait until it arrives! 5. Finally, I have spent the majority of my week working on my latest product. I am in the process of creating a Chalkboard and Chevron Decor Set. I have really enjoyed working on this product and I think it will be perfect for the upper elementary school teacher who doesn't want a "cutesy" classroom theme. What would you like to see included in this decor set? Please leave me a comment below and let me know! I broke down and ordered the Erin Condren planner too! I am very excited to put it to good use! 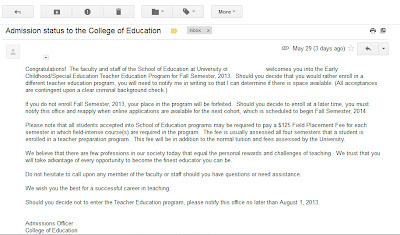 Congrats on being accepted into the college of education! 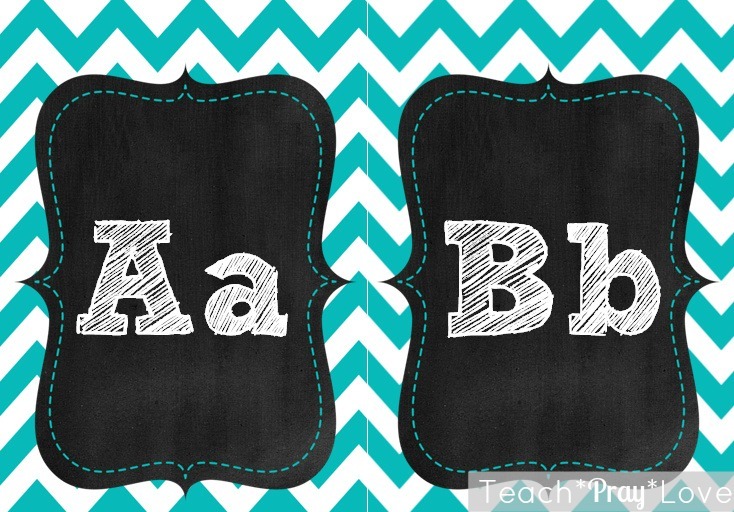 I can't wait to see your final chevron chalkboard set! It looks super cute! Thank you! I just received my Erin Condren Lesson planner a few weeks ago and I love it! I can't wait to use it this fall. Thanks for stopping by!